I'm super glad to get another box from Great Kids Snack Box to review. My kids love their snacks. What's great is that if there is one thing that they don't like there's more things that they can try. 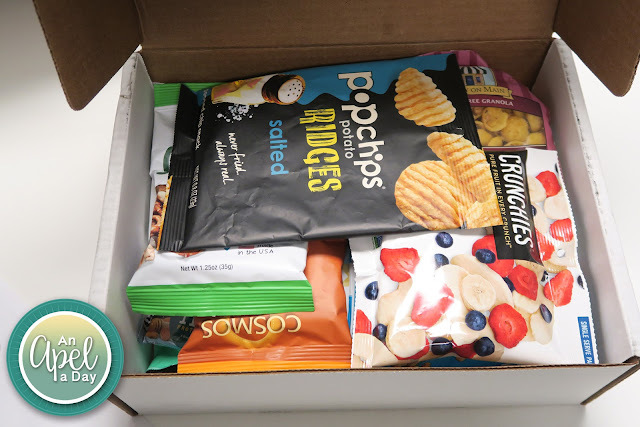 They send out monthly boxes that are loaded with individually wrapped snacks. I hear all the time, "I'm hungry!" I love how protein bars help satisfy my kid's hunger. Mica seems to enjoy protein bars more than Isaak, but there's other things in the box that I can eat. The boys went for Justin's Peanut Butter Cups right away. Thankfully there were 2 inside the wrapper. They have all kinds of after school snacks tucked into one box. The boys thing they are too old for applesauce type foods in pouches. I pour them out into a small bowl, and mixed them up with homemade applesauce. They went for them right away then. I love nuts and the lemon flavor is one of my favorites. 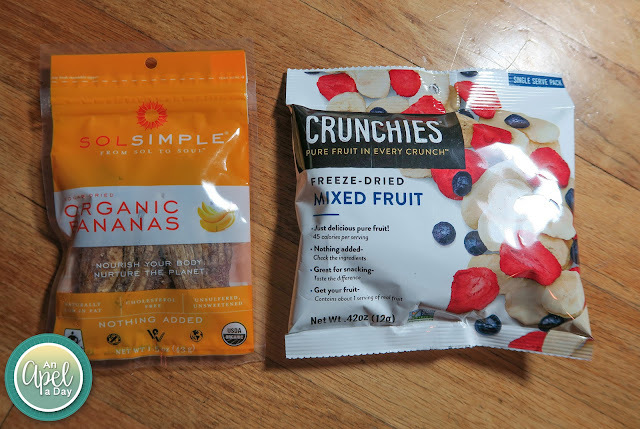 Dried Fruit is something we have every morning just about with breakfast. 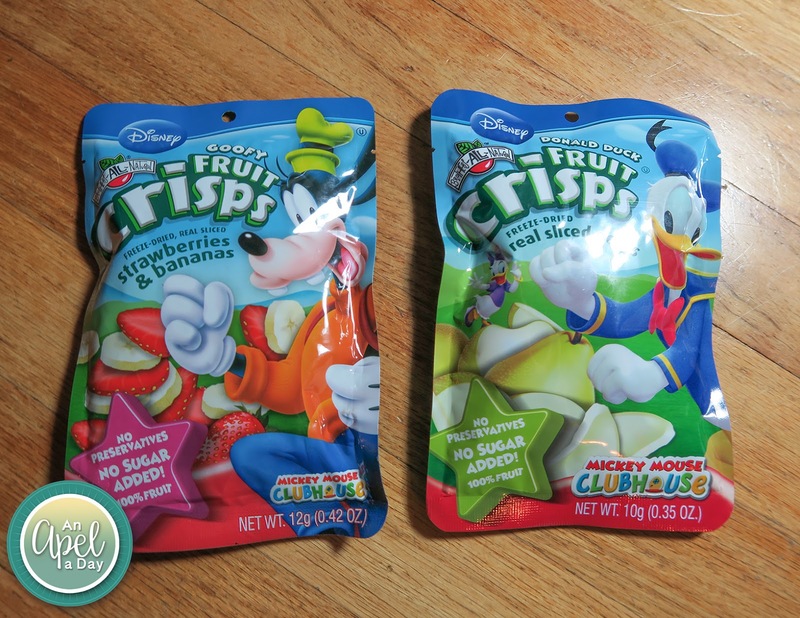 I divided the Fruit Crips up for all of us to split. 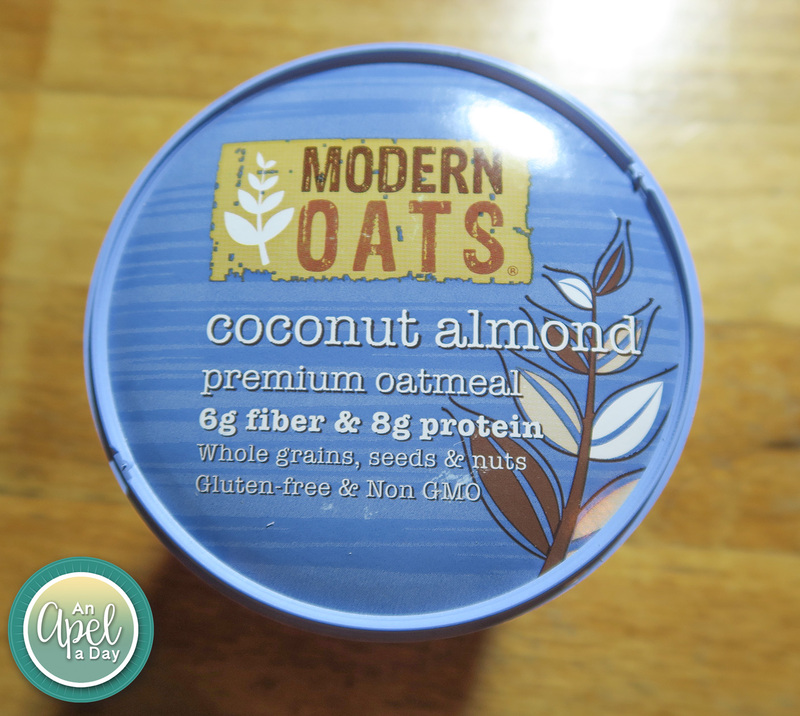 I really love oatmeal, but I haven't tried this yet. The Coconut Almond flavor sounds wonderful. It's handy that it's in it's own container, which makes it easy to take on the go. 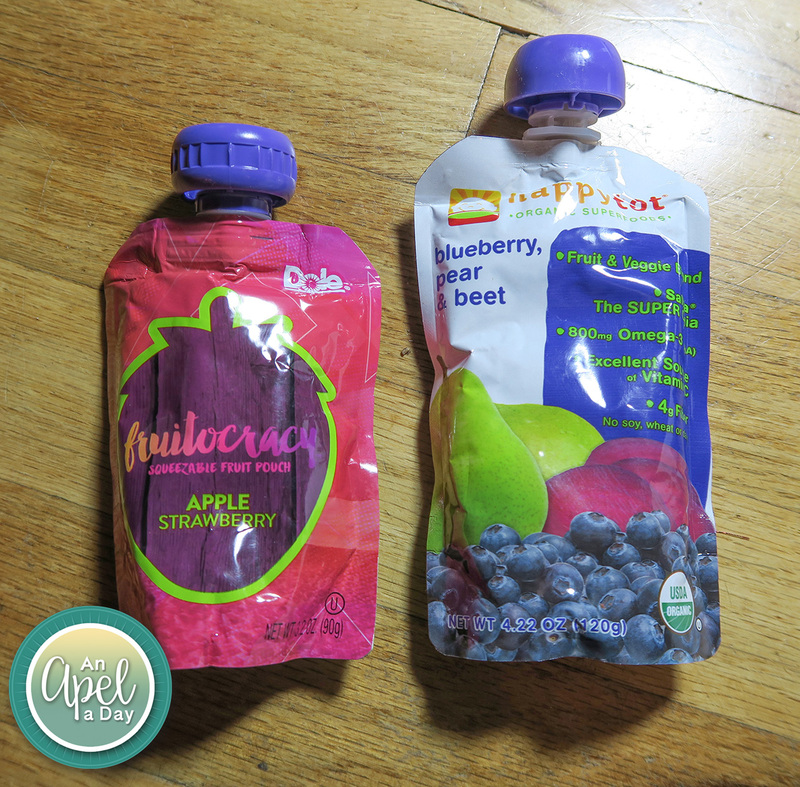 Isaak had this PowerIce after his basketball game. It's filled up! There's no waist in this box. Everything is individually wrapped. If Isaak doesn't like something, then Mica will eat it. Isaak I know already doesn't like dried fruit, so Mica will snack that down. 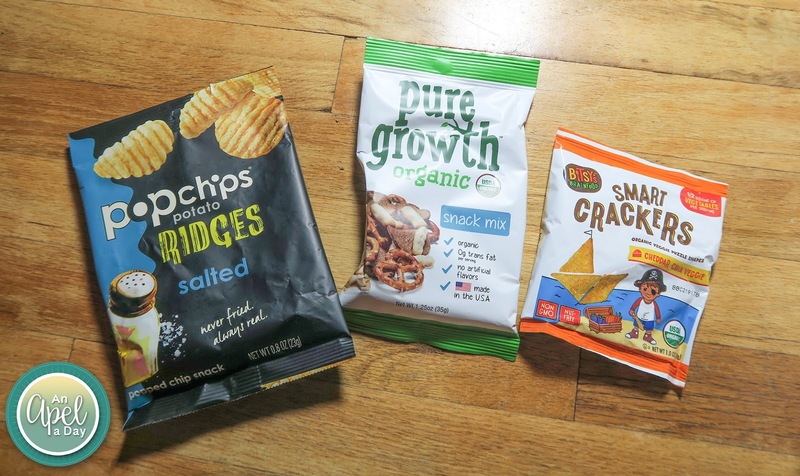 The snacks are healthy for the most part. One could argue that anything prepackaged isn't healthy. 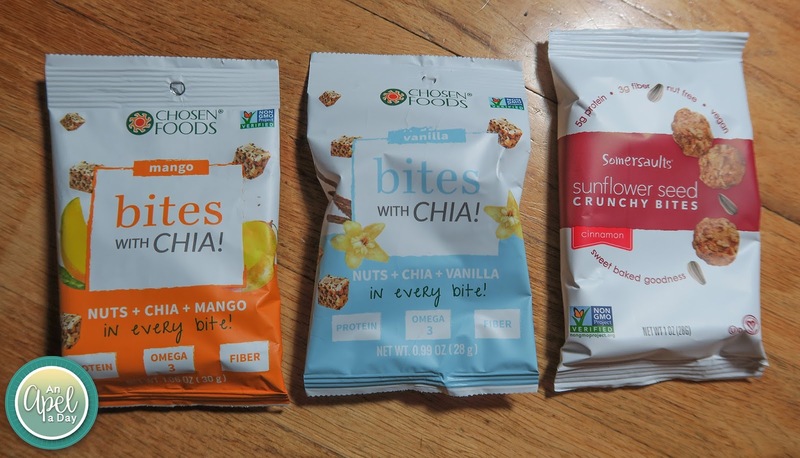 Compared to all other prepackaged things these are very healthy snacks! Perfect for a wide age range. 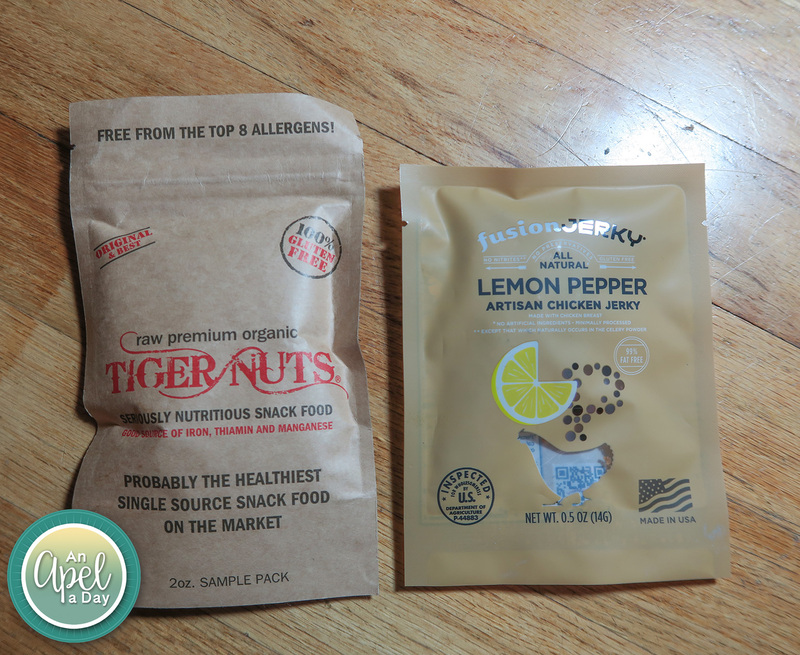 These snacks will work for my 8 year old, but my 11 year can equally enjoy them. It has a wide variety of things in it. Cost wise it's fairly inexpensive: $39.95. It may seem like a lot, but there's a lot in the box. I'm not sure if the snacks are just for kids. They seem like they are for everyone in the family. I wish they'd have a survey section to get to know their audience before parents order from them. If someone has toddlers maybe the snacks would be different than older kids. 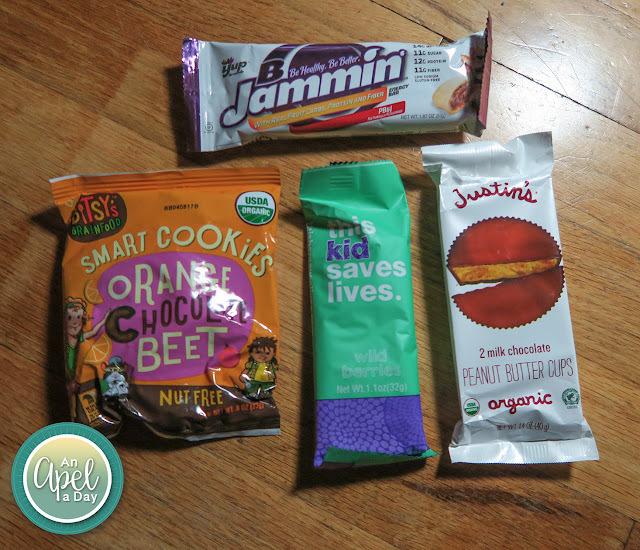 Some kids may love protein bars, while others do not. Then the boxes could be tailored to each family. This is really the only change I'd make. Do you like getting monthly boxes? Disclaimer: I received this product to help with this review. I was not influenced in any way when writing this review. Yum! Those snacks look good! … I had no idea Justin's made peanut butter cups. How did the kids feel the taste was in comparison to reese's? Everything looks so yummy. I'd like to try the pb cups to see how they compare to Reese's. Amazing how many great snacks you get in one box! Looks great to me!